GUARANTEED ZERO LEAKS - Bi-injection technology means that there can be no loss of washers as the washers are always in place - total protection against leaks! 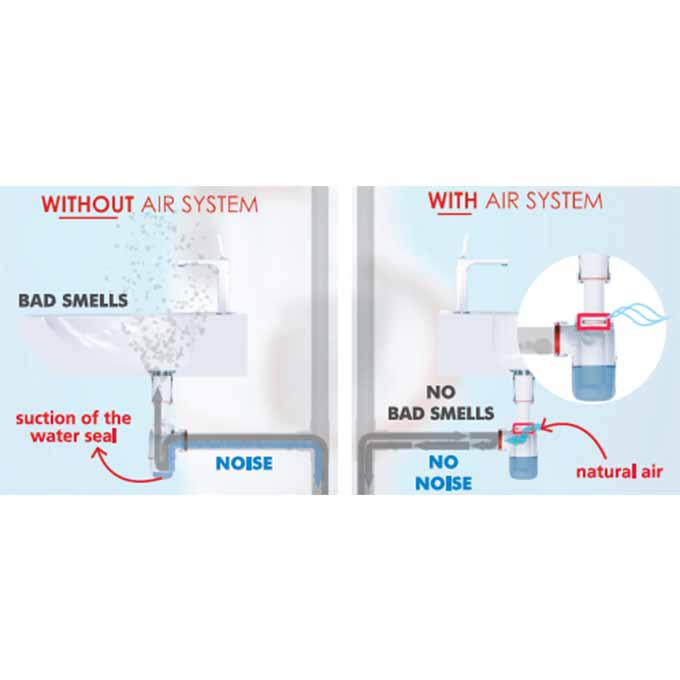 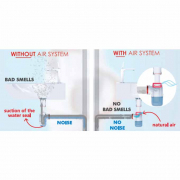 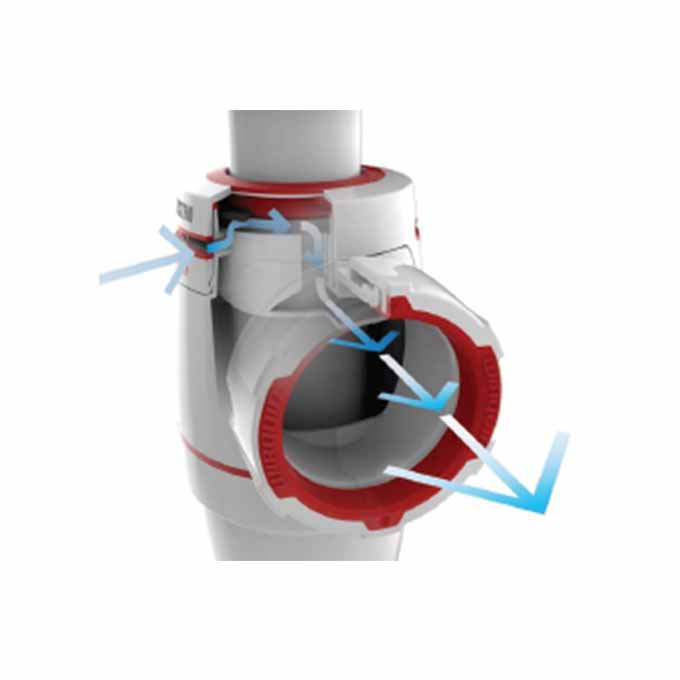 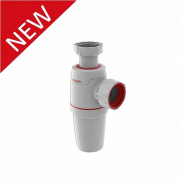 AIR SYSTEM FUNCTION - This innovative option (Wirquin Neo Air) replaces the traditional ventapipe air admittance valve and prevents noise (gurgling) and bad smells. The Wirquin Neo Air allows the pipesto be ventilated: when a negative pressure is created in the pipework, the WIRQUIN NEO AIR's membrane rises, thus creating continual ventilation to prevent the suction of the water seal.